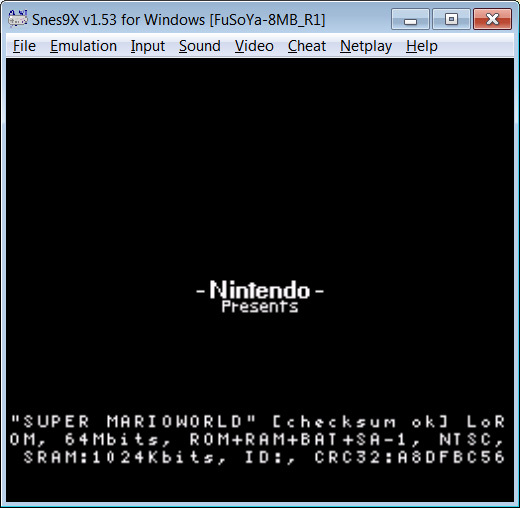 This program is an unofficial build of Snes9x, which fixes Snes9x’s implementation of the SA-1’s bank switch registers to honor bit 7 (previously it would act as though the bit was always on). This means that by placing the values 4,5,6,7 in $2220-$2223, you can access all 8MB of a 64Mbit ROM at the same time without any further bank switching required. This build also restores the ExLoROM map to 64Mbits, as it appears to have been accidentally reduced to 48Mbits in the current 1.5x series of Snes9x. The fixes have already been submitted and accepted for the official Snes9x project, so they’ll hopefully be in the next official build (1.54? ).